Large gently curved glass panels provide generous streams of light with the Yorktown collection. Yorktown is a complete family of outdoor fixtures to light your whole home. 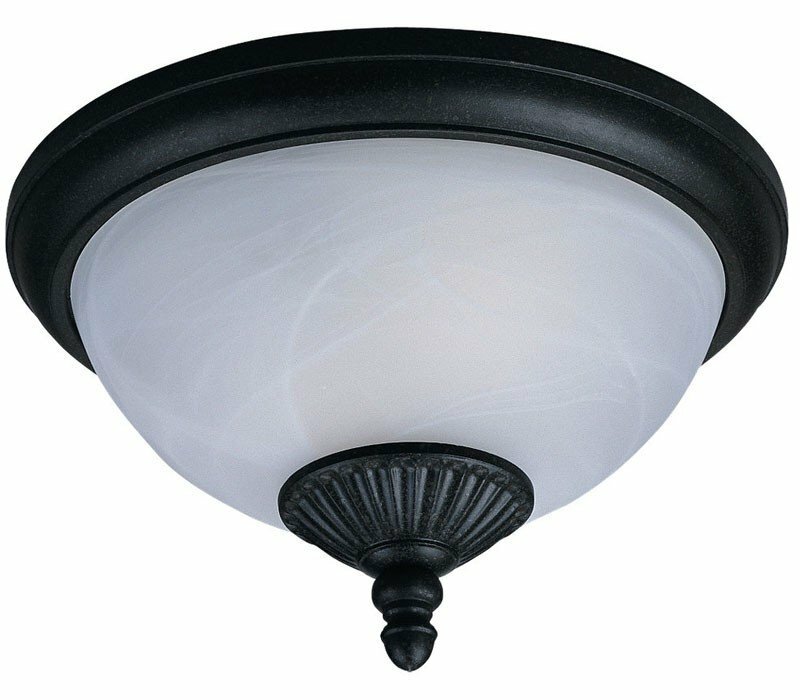 The Sea Gull Lighting 88048-185 Yorktown collection Outdoor Flush Mount Lighting in Forged Iron uses Incandescent light output and brings Transitional style. This item is 7.5"H. The wattage is 120. The Sea Gull Lighting 88048-185 requires 2 bulbs (not included). Additional Information: Shade-Swirled Marbleize Glass.